Solar is set to play a prominent role in future energy systems, according to the chief executive of French power company Engie. 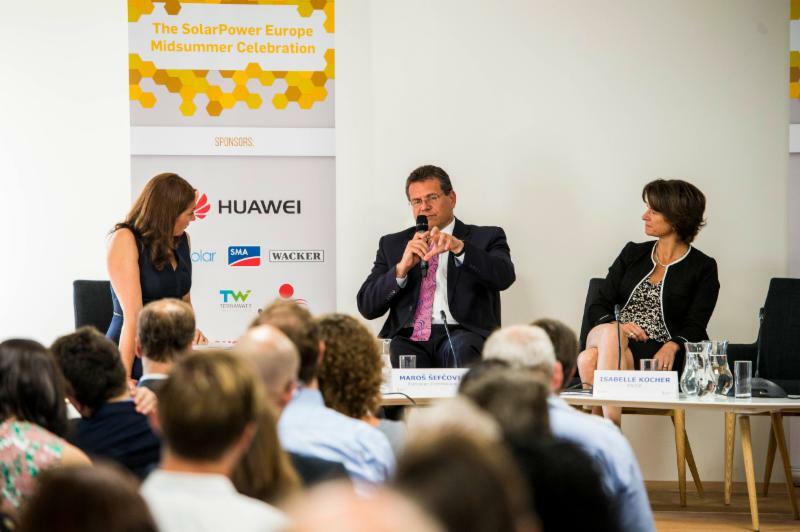 Isabelle Kocher was speaking at yesterday’s SolarPower Dialogues, timed by event organiser and European trade association SolarPower Europe to coincide with the summer solstice. Commenting that the energy revolution was “full of opportunities”, Kocher said that Engie was fully embracing the “fundamental changes” in the energy market in a bid to position itself as a frontrunner. “[The energy revolution] will allow us to modernise our entire energy system, and thus our economy, to tackle the climate change issue, to provide reliable and affordable energy to all including those in the most deprived regions of this world. Solar will play a prominent role in this new energy system,” she added. Engie has been busily investing in solar power opportunities across the globe, acquiring and developing projects in Malaysia, Indonesia, China and the US since launching a US$1.6 billion (£1.27 billion) green bond in March this year. In the UK it entered into an agreement last year to purchase all surplus power from the country’s largest private-wire solar park; the 50MW AC Shotwick solar farm in Deeside. It is just one of a large number of major power firms to have its interest piqued by solar PV, following on from the likes of E.On, which has backed its new residential solar product to gain a large share of the UK market, and Centrica, which yesterday sold off the last of its centralised power stations to focus on distributed power. Solar has indeed played an increasingly important role in the UK’s energy mix this summer and contributed towards various generation records and low carbon landmarks.